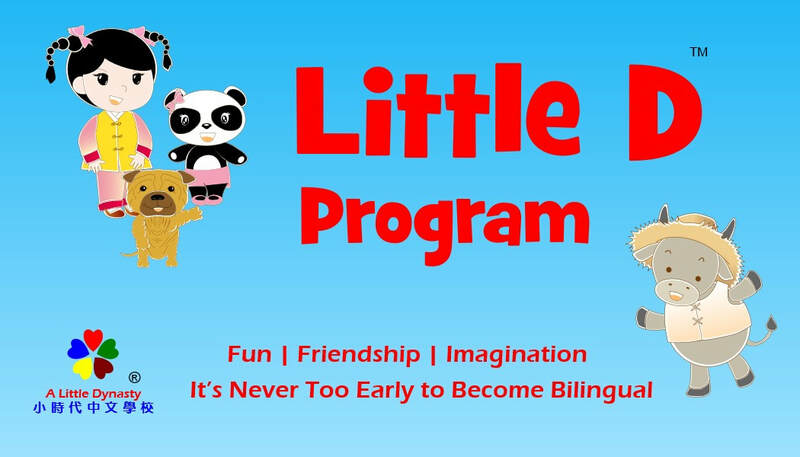 ALD’s Little D Program™ is a fun developmental play and learning program that introduces children to simple Mandarin words and phrases and school skills. 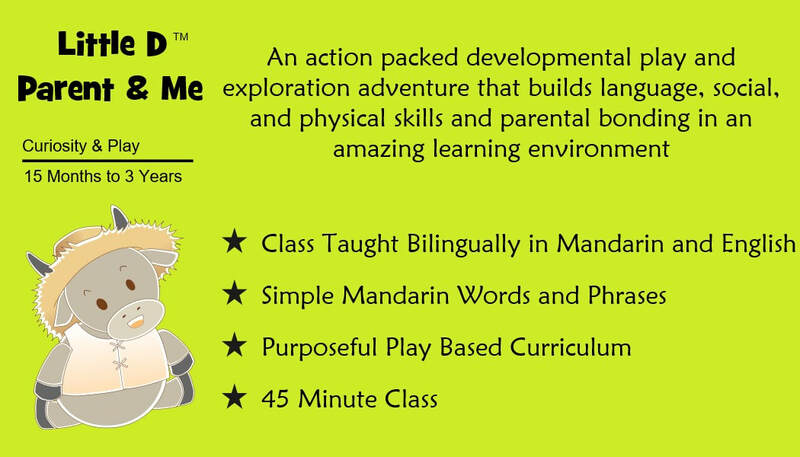 Little D’s meaningful and purposeful play based curriculum will lay a solid foundation for further Chinese language study. 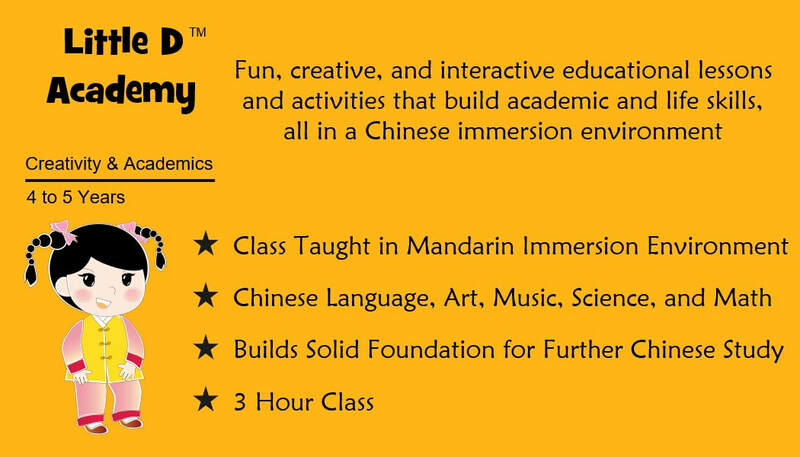 The classes are designed for children with no prior exposure to Chinese language. Many of our exceptional Chinese Immersion School students are Little D graduates! 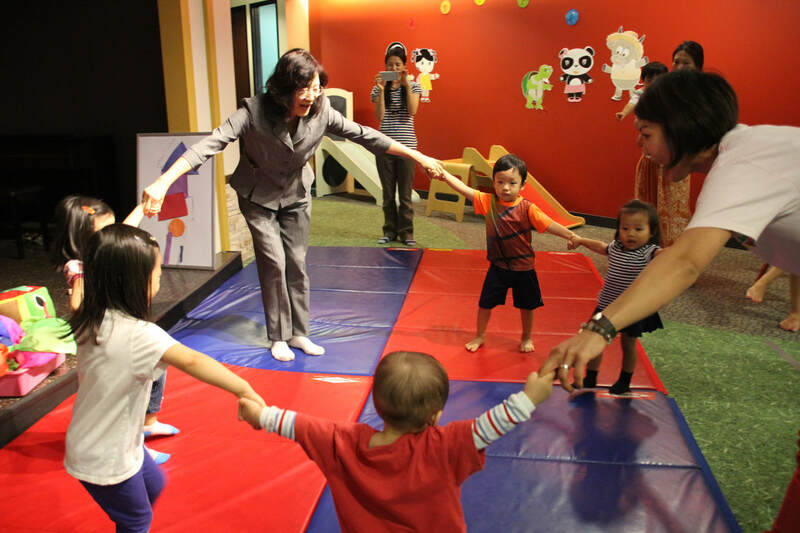 Each class is a carefully scripted story with activities and lessons involving a theme that children can relate to. 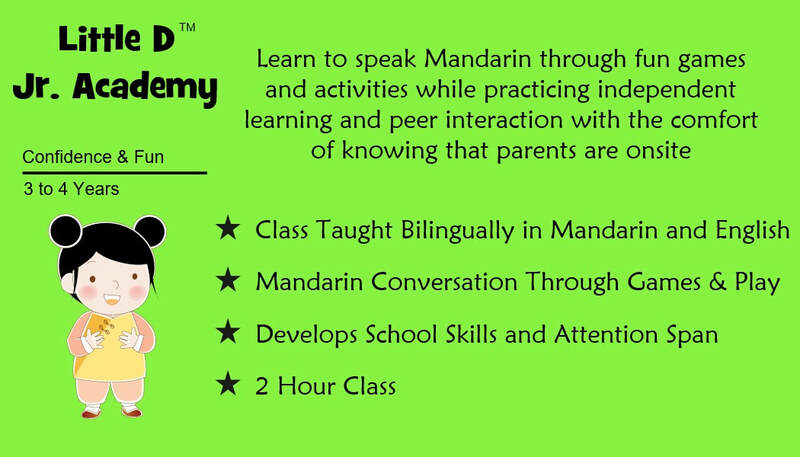 The lessons teach age-appropriate concepts and skills in art, music, science, and math bilingually in Mandarin and English. Little D classes feature ALD's own exclusive fun children's songs. 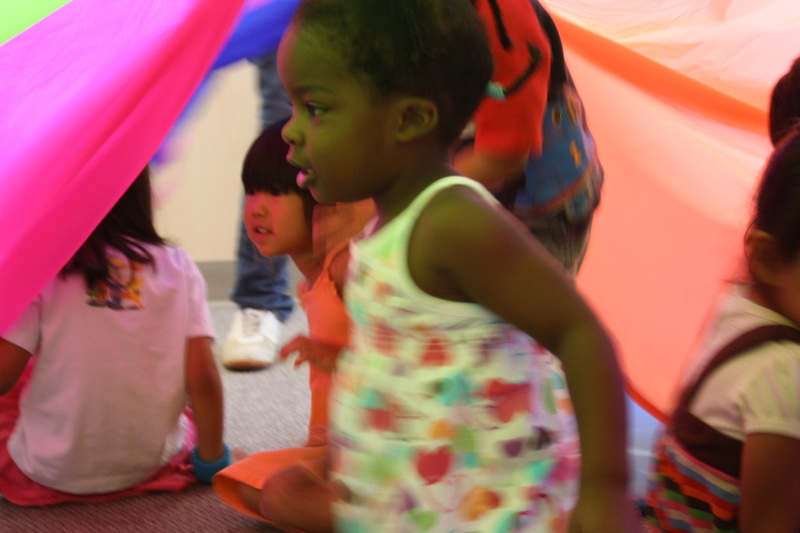 Come join the fun because it’s never too early to become bilingual!